This is from my friends in Alaska. I have been on two trips with them and highly recommend them for a true Alaskan adventure. And I do not get anything in return for this post! Really BIG. So think carefully about what you want to try to do and don’t spend your entire trip in a car or a bus! Get out there and hike, climb, paddle, float, zip and more. There’s so much to do in South Central Alaska, if you only have a week there’s no need to drive all over the State trying to see it all. Within 100 miles of Anchorage you can hike on a glacier, learn to ice climb, go sea kayaking, climb mountains, backpack in the wilderness, raft a wild river and more! We operate two small companies in South Central Alaska, within two hours of Anchorage. 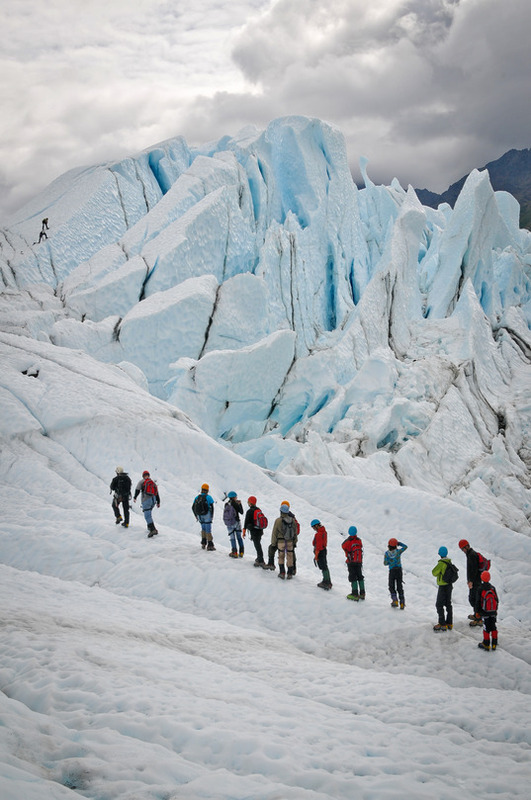 Get out of the car or off the ship and actually WALK on a glacier. 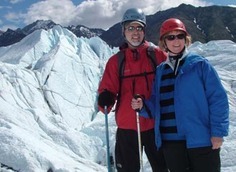 The mighty Matanuska Glacier is a great destination for trekking or learning the exciting sport of ice climbing. Adventures from 1 hour to all day for virtually the entire family. MICAguides.com The most adventure you can pack into a week! 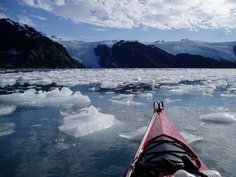 Sea kayak Prince William Sound, learn to ice climb on a glacier, hike high in the mountains, raft a wild river and more. Challenging, all inclusive adventure tours from 3-9 days. Expose yourself to Alaska! Book now and SAVE. Reserve your glacier adventure with MICA Guides within 10 days of this message and save 10% on the Ice Fall Trek or Ice Climbing. Book online and use promo code VR1% (Does not apply to Packages. You must book online for discount). This entry was posted in Mountains, Nature, Photography, Places and tagged adventure, adventure planning, Adventure Tours l Zipline, Alaska, Alaska Adventure, anchorage, climb, expedition, exposure alaska, glacier, glacier view, ice climb, kayak, matanuska, matanuska glacier, prince william sound, south central alaska. Bookmark the permalink.